Explanation: What do Saturn's rings look like from the other side? From Earth, we usually see Saturn's rings from the same side of the ring plane that the Sun illuminates them. Geometrically, in the above picture taken in April by the robot Cassini spacecraft now orbiting Saturn, the Sun is behind the camera but on the other side of the ring plane. Such a vantage point gives a breathtaking views of the most splendid ring system in the Solar System. 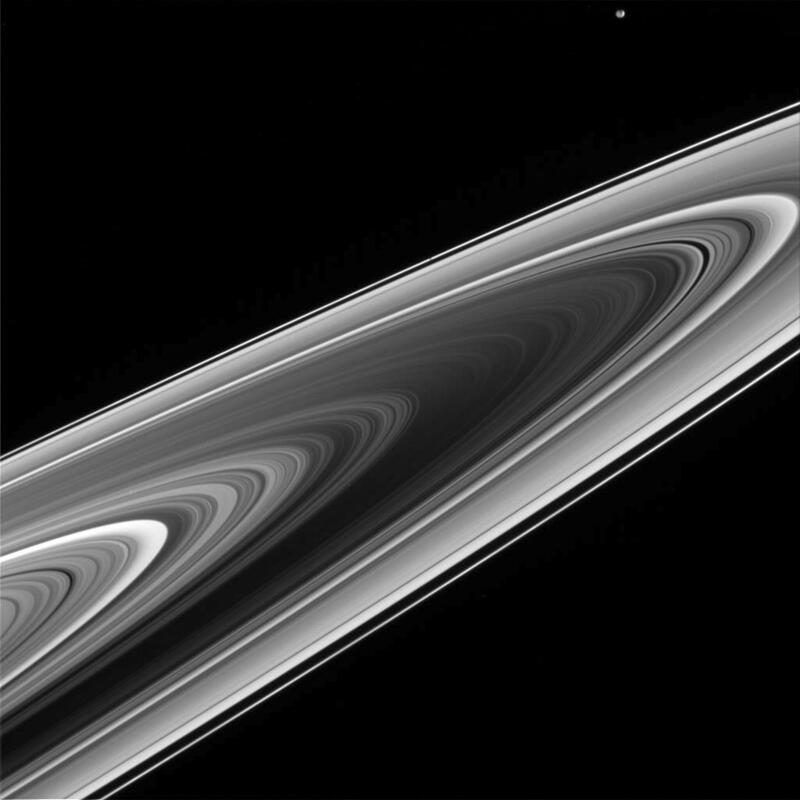 Strangely, the rings have similarities to a photographic negative of a front view. 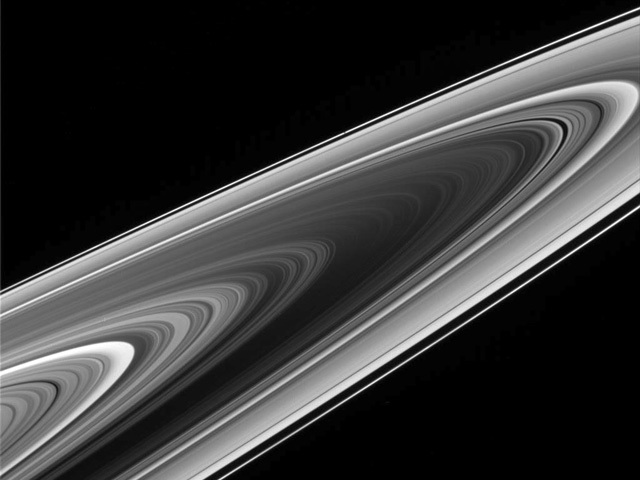 For example, the dark band in the middle is actually the normally bright B-ring. The ring brightness as recorded from different angles indicates ring thickness and particle density of ring particles. Images like these are also interesting for what they do not show: spokes. The unexpected shadowy regions once recorded by the Voyager missions when they passed Saturn in the early 1980s are not, so far, being seen by Cassini. Extra credit: Can you spot the small moon (Prometheus) among the rings?